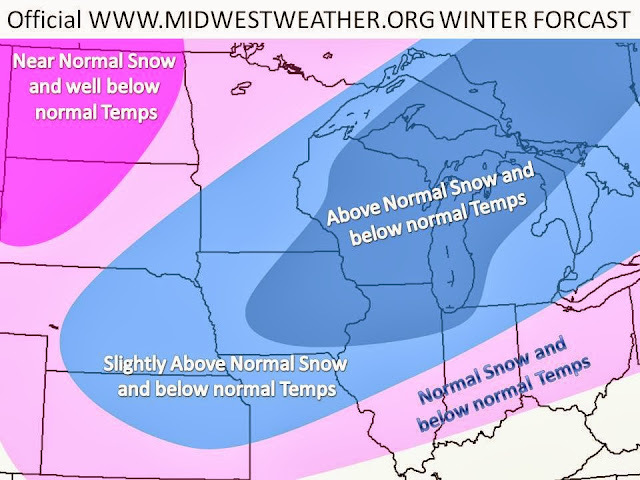 November 26th update: As new computer model runs come in and conditions begin to play themselves out, we have tweaked our winter forecast this week. Nothing major, but one difference you may notice is the well below normal temperatures in the Dakotas! 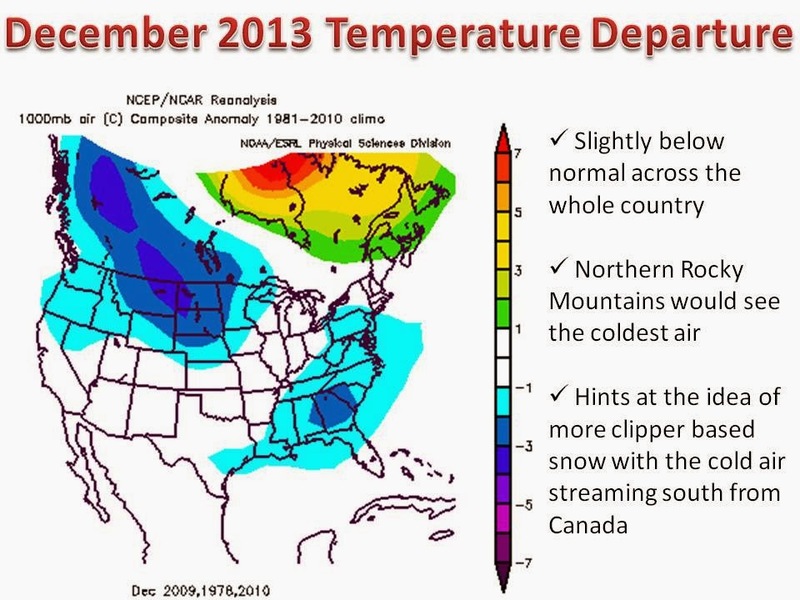 This idea was mentioned in September, but backed off in October so it was left out of the original winter forecast. However, models and conditions are really hinting towards this extreme cold, along with the discussion from NOAA the cold is looking more and more likely. Enjoy your winter everyone, and be sure to stay with us throughout the snow season! 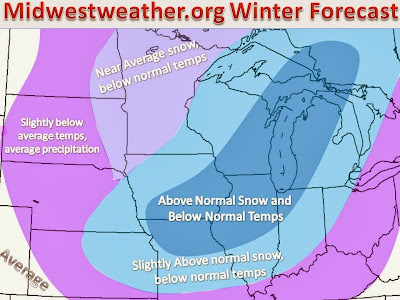 Well here we go, after weeks of contemplation and sifting through models we finally have a solid winter forecast. To sum up, it will be winter's harshest stance in awhile. Nearly all long range models are showing an active storm track through the core of the midwest, leading to many cold snaps and winter storms. 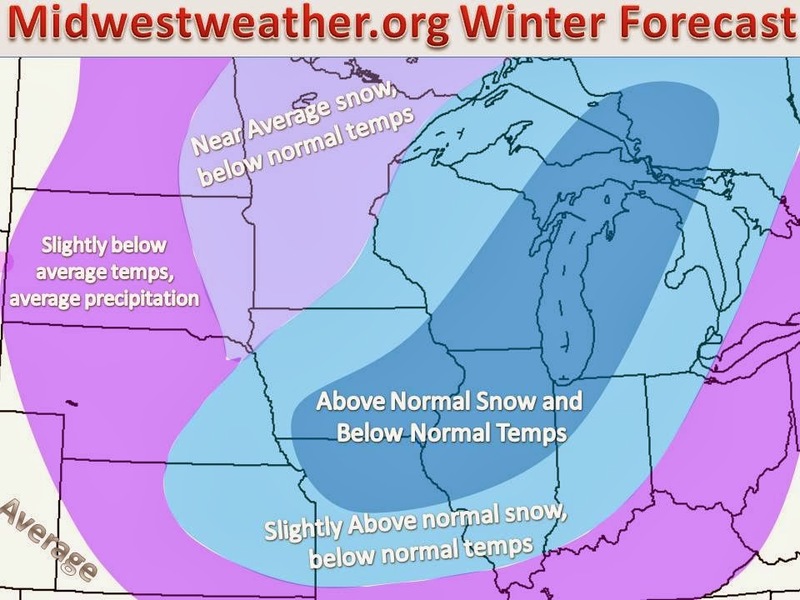 This goes along with our analog winter forecast from September. We have had a very warm 6-8 weeks across much of North America, and this has lead to stratospheric warming in higher up latitudes. This phenomenon actually leads to a prolonged stretch of cool weather across our area. 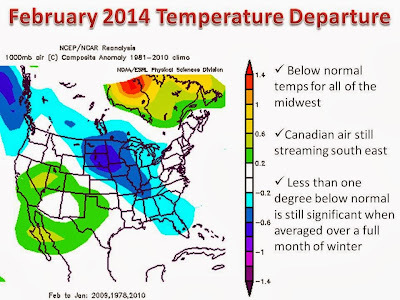 Usually in a season forecast you will hear something about La nina, or El Nino. Warming and cooling of the Pacific ocean, respectively. However, this year models are hinting at near average ocean surface temperatures, so this factor is relatively low. Now we move on to the North Atlantic Oscillation (NAO, Current model projection) it is a measure of "blocking" through height anomalies in Greenland. Basically we need a negative value for strong winter storms to come up from the south. A negative value gives us kinks in the jet stream which leads to drastic temperature differences from coast to coast (usually cold for the Midwest). 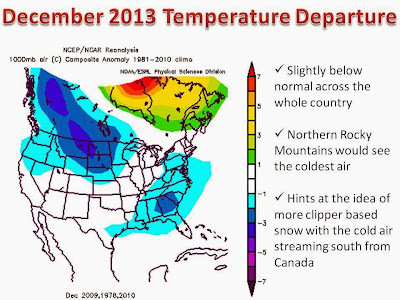 With that being said, we are expecting multiple negative NAO values this winter! Finally, we took into account many long range computer models: Find Some Here! to get our final product. Enjoy! Be sure to tell you friends and "Like" us on Facebook Click Here for more updates this season, looks like we will have a lot of work to do this year! 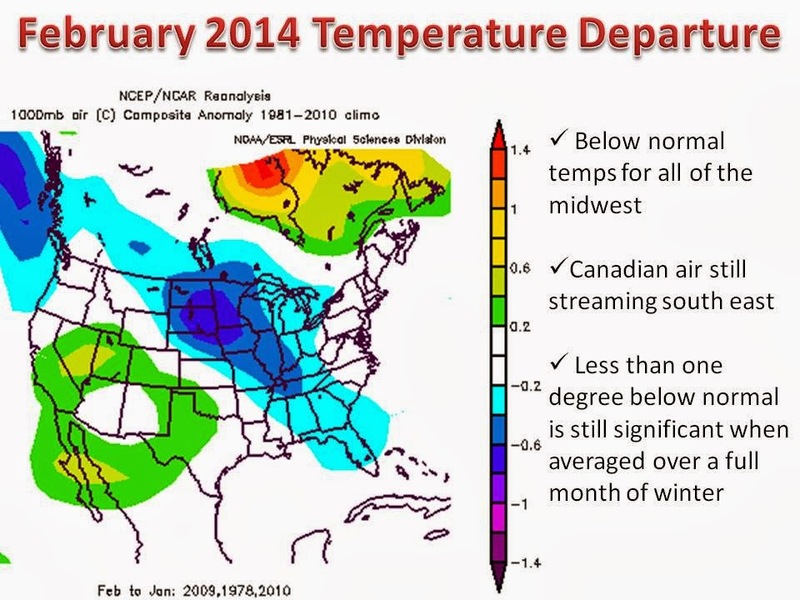 Winter forecasts and any seasonal forecasts for that matter can be very difficult because weather computer models will never fully agree on one set solution. Well, it is far too early to start rationally sifting through models to find what this winter will bring. 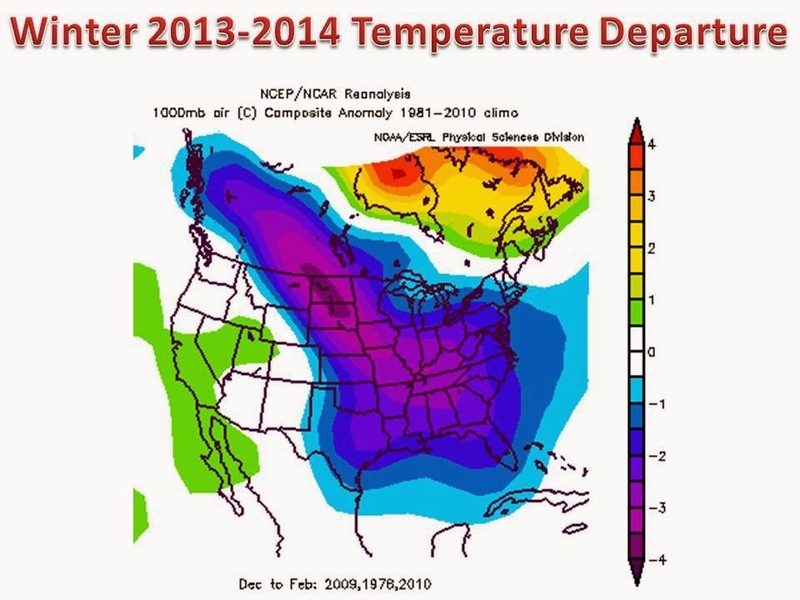 This is why many in the weather world (including the CPC) are starting to use analog years with increasing popularity. Analog years are weather based data sets that compare well to what is currently observed during the season. The observations are used find the years that a given variable coincides with. forecasts you see on the page. 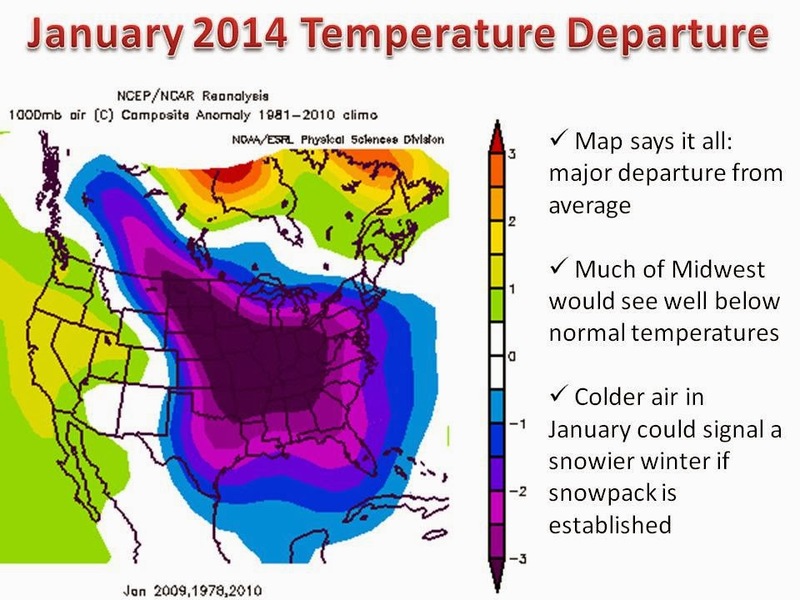 Below normal temperatures appear to be the rule of thumb this time around. It looks like the jet stream will stagger south, allowing for ample cool Canadian air masses to surge south throughout the season. With that being said, precipitation appears to be in the normal category, based on analog years. CPC agrees with me here. With the colder temperatures, this would signal more snow and less rain/sleet/ice. Be sure to keep it here to Midwestweather.org for updates on the winter forecast and posts about the weather that impacts your life! !